I’ve been collecting vintage perfumes for three or four years, and have now accumulated something like one hundred bottles (at last count and I don’t count often). Every now and again, I think of stopping: first, eBay France has pulled all LVMH perfumes after a court injunction, which may lead to other court decisions in other countries and to the absolute ban of the sale of perfumes on the auction site. Plus, I wonder how I’m going to use it all, and it’s getting more and more expensive. Not only do we have to contend with our arch-foes, the bottle collectors (now that the Russians have joined the game in droves, prices are going through the ceiling), but now that every self-respecting perfumista is aware of the reformulation crisis, we’re stepping on each other’s feet in search of the elusive original Mitsouko, the perfectly-aged in casket N°5, the mythical Nombre Noir/ Iris Gris/ etc. It’s already almost useless to have a go at a boxed, sealed Caron or any discontinued Guerlain. So unless you want to take a second mortgage, if you’ve got your mind set on a flacon on fleabay, one piece of advice: eSnipe. You’ll lose a lot, but at least you won’t be driving up prices during the auction, and you won’t get stuck with a sour L’Heure Bleue at $375, which you will have, of course, unsealed, and will thus be worth less to the collector you try to re-sell it to. And before you click on “Bid”, do your homework: some scents are quite common, and will pop up again regularly. Maybe not that über-rare Poiret, but then, do you really, really need it? That’s why God (in the person of Jean Kerléo) created the Osmothèque. Granted, a trip to Paris is a bit costly, but you’ll all end up sooner or later in perfume Mecca, won’t you? 1/ Why buy vintage perfumes at all? Personally, I like to smell the formula as close to the moment of its composition as is humanly possible. And, of course, there are certain mythical scents, now discontinued, that I feel I need to know. 2/ How can I make sure the perfume hasn’t gone off? Light is perfume’s worst enemy. Prefer boxed bottles. However, beware before bidding on one that’s still in its wrapping. I once won a Rumeur still in its blue Lanvin paper: the contents had spilled in the box decades ago. Make sure the bottle is sealed. The cord must be criss-crossed on the stopper, and in better pictures, you’ll see the “baudruchage”, the little transparent membrane sealing the stopper to the bottle. That said, I have bought an unsealed 30s Jicky that had clearly been used, but was nevertheless impeccable. Certain compounds oxidize faster than other, namely the citruses, lavender and aldehydes. But I have a perfect 30s N°5. 3/ The bottle is sealed but part of the content has evaporated. The Cognac makers call this “la part des anges”, “the share of angels”. This doesn’t necessarily mean the scent is off, though it may be darker because the oils are more concentrated. I would be suspicious of a too-full vintage bottle: an unscrupulous vendor, going under various pseudonyms on eBay, has been known to buy up empties and refill them with something else. A scandal amply discussed on various blogs and fora last year, including Perfume of Life. 4/ The juice is very dark. Not a very good sign. But bear in mind that fragrances containing jasmine and orange blossom have a tendency to turn to orange quite quickly, and darken over the years to a nearly caramel colour. Of course, if there are just a few tarry drops at the bottom, don’t get the bottle unless it’s an absolute steal. Some perfumistas revive theirs with Everclear or the best grades of vodka, but I’ve never tried. 5/ The juice is murky. Don’t go there. It’s been used and is now full of the former owner’s skin cells, or else the seal has crumbled into the bottle. Yuck. 6/ How can I date a bottle? If you don’t have reference books for bottle collectors, you can consult vintage perfume ads on a site like OKADI to see when a bottle was commercialized. 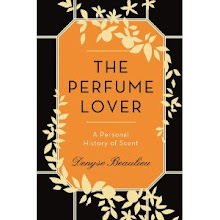 You can also search 1000fragrances: Octavian is a perfume historian and is a treasure-trove of obscure information. Perfume Project has good historical info, and Perfume Intelligence is a huge, if sometimes inaccurate, data base. 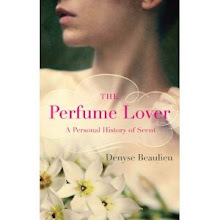 And of course, the members of Perfume of Life are often very knowledgeable and always willing to share their experience. Note that when a box or label indicates “parfum”, this means that it was produced after WWII. Previously, most fragrances came only in extrait and didn’t need the label. 7/ Do some houses age better than others? Collectors seem to agree that Chanels, Guerlains and Carons stand the test of time. 8/ The bottle says « eau de cologne ». Before WWII, the eau de Cologne version of a perfume was basically a Cologne with some notes of the perfume added. From the 50s on to the 70s, they are less concentrated versions of the fragrance, often quite faithful and surprisingly strong. You’ll also see “parfum de toilette” on some labels: the concentration is a bit stronger than the eau de toilette. This was before the eau de parfum was invented in the 80s. As for concentration, each house had its own policy. A last bit of advice: to avoid competing with bottle collectors, opt for the simpler presentations. Houses often issued a less ornate bottle along with the fancy one. You can find extra pointers by seasoned collectors on: Now Smell This and The Perfume Posse. 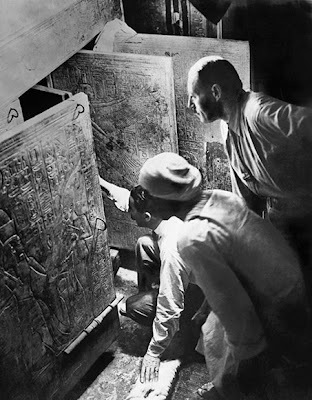 Image: Howard Carter discovers King Tut's tomb. Great post, thanks! I've been falling down the rabbit hole into vintage perfumes lately, and I agree with everything you've said. The thrill when I opened up that little sealed box of La Fuites des Heures and found the perfume completely intact, topnotes and all...merde, I'm totally hooked. But I agree about fleabay...I want to start hunting in brick and mortar antique shops, instead of dealing with the anxiety of buying over the Internet. The problem is that before I acquired this obsession, I moved to Texas, of all places! I imagine Europe, esp. those Parisian marche aux puces, to be just fantasy land for a vintage perfume lover. It's been so long since I've been to Paris. Please tell me it's not all treasure troves of Iris Gris and La Fuite des Heures, or I'll be tormented into buying a ticket I can't afford! Don't worry, Aimée, what one usually finds in flea markets are the ubiquitous minis the French so love to collect. In fact, Iris Gris is the only treasure I've found so far. That La Fuite des Heures is a treasure too, unusual and gutsy yet more muted than Germaine Cellier's better known classics. Whew! Good thing--thanks for bursting the bubble on that one. Well I'll be in NY in a week or two, and will have an entire precious day to sniff to my heart's content, so that will have to do. Hoping to decide on a summer jasmine perfume, which is a note I now love since finding La Fuite. It certainly is amazing--it seems to me to be gloriously radiant and almost buttery, but dry and unusual with that thyme in there as well. Summer jasmines? Hmmm... I love Jasmin de Nuit by The Different Company (see review below). oh the damaged top notes... right now i'm looking at a picture of a small bottle of lanvin scandal, in the box, opened but barely used, for about 35 euro. asked if still smells good the seller says it smells like old perfume! would you take the risk? Dênis, that can mean anything! The price seems reasonable. Even if the top notes are shot, they're certainly not what is most characteristic about Scandal. Once on skin they evaporate quite quickly. Denyse, let me keep you posted: scandal (extrait) was a bit of a frustration for me. I get a pretty, very radiant floral over a delicate, discrete, soft leather/animalic base. I cannot note the aldehydes. but it just doesn't last on skin, after 4 hours it's completely gone. and there's seen to be a gap between the top notes and the base notes, the perfume goes from this radiant floral to a quite muted, faint leather, with no depth or projection. in the same week I got a vintage Baghari parfum and the drydown is just delicious, very complex, full of yummy stuff to explore, and fades out real slow in paper, lasting for days. the Scandal box is dated "9-10-1967", I guess I got an exemple of the reformulation roudnitska complained about, or those 45 years of travel were too hard with it. Dênis, thanks for the update... What can I say? Vintage is always a gamble for the reasons you note: conditions of preservation and reformulations over the years. Also, what we expect based on descriptions may be very different from the actual juice! Sorry you were disappointed with Scandal, at least Baghari was a great find. I feel a bit embarrassed in answering after almost seven years after this article, but I'd like to offer to all community my works about "dating" perfumes, recognizing the batch codes. it's all for free without spam nor ads. André, au contraire, it's a fantastic resource!